Throne Speech confirms government intention to regulate home inspectors. "New legislation your government intends to introduce includes measures to ... regulate home inspectors." Members of the OntarioACHI volunteer management team have been working with the Ontario Government for the last three and a half years to ensure the needs of the Ontario Home Inspector is taken into account while at the same time increasing protection for the consumers. We will continue to work with the Minister for Government and consumer Services, the Hon. Marie-France Lalonde and her staff at the Ministry on this matter. We will continue to keep our members appraised of developments as they happen. OntarioACHI would like to thank members of the government, in particular Hon. Tracy McCharles who initiated the process, Hon. David Orazietti whose tenure maintained the impetus at staff level, Mr Han Dong MPP for Trintity-Spadina for his private members bill PR165 -A Bill to Regulate Home Inspectors, and now Hon Marie-France Lalonde, for following through with her public commitment to introduce legislation during the fall session. Not least do we also thank the staff at the Ministry of Government and Consumer Services as well as Mr Han Dong's team for the tremendous amount of effort behind the scenes to get us to where we are now. 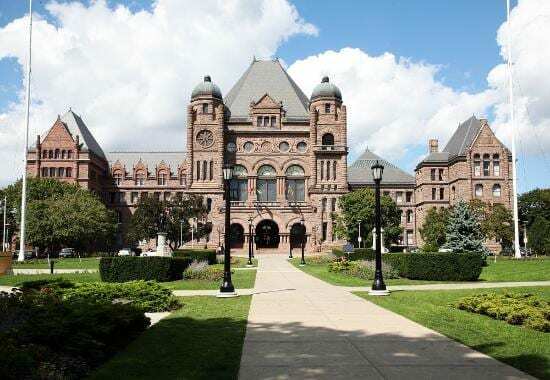 We look forward to working with them all to ensure the needs of ALL home inspectors in Ontario are considered while crafting the regulations to increase consumer protection around the Real-Estate transaction process.